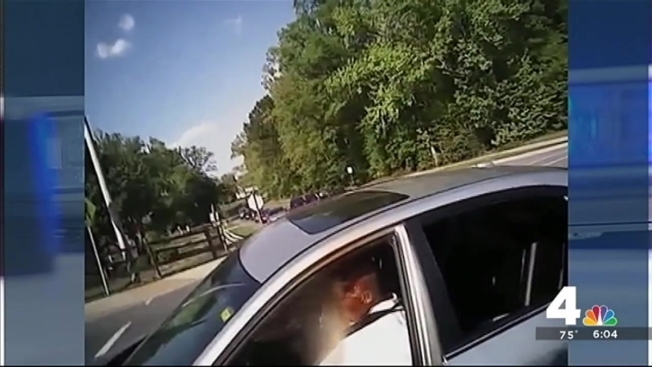 A police officer resigned after inappropriately using a Taser and pepper spraying a man who was driving recklessly while suffering from a health emergency May 4, according to the Fredericksburg Police. About 5 p.m. that day, 34-year-old David Washington of Fredericksburg was driving southbound on the Jefferson Davis Highway when his car crossed over the median into the northbound lanes and struck a Jeep, police said. After Washington attempted but failed to drive away, the driver of the Jeep called Fredericksburg Police, authorities said. Two officers arrived, held Washington at gunpoint and ordered him out of the car, police said. When Washington did not comply, a third officer, Officer Shaun Jurgens, arrived at the scene and promptly used his Taser on Washington, police said. But the Taser did not make a proper connection and was ineffective, so Jurgens pepper-sprayed Washington as well, police said. Washington was then removed from the car. During transport to a local hospital, it was learned Washington was suffering a medical emergency that started hours earlier, police said. The other officers at the scene reported the use of force to superiors, and the command staff reviewed the incident and determined it was inappropriate, according to Fredericksburg Police. Jurgens subsequently resigned from the Fredericksburg Police Department May 14. “The use of force demonstrated in the incident involving Mr. Washington was not in compliance with department policy or training,” Capt. Rick Pennock said. “We take matters such as these very seriously and require that officers at all times exercise appropriate restraint and good judgment in their dealings with citizens." Washington faces several charges, including hit-and-run, reckless driving, property damage, and a third offense of driving on a revoked or suspended license. Washington has yet to be served these charges.